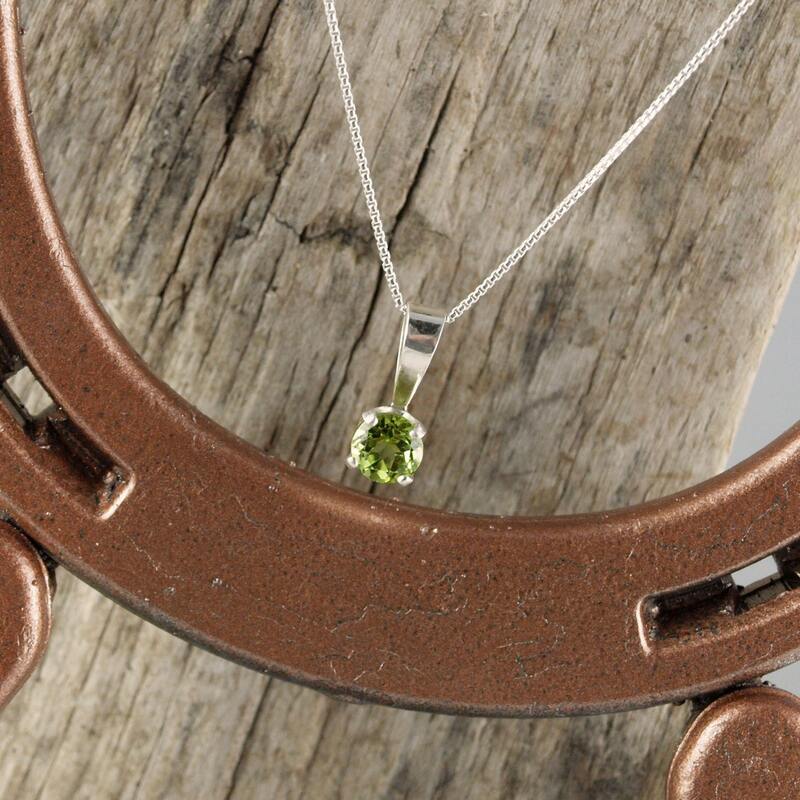 Sterling Silver Pendant/Necklace - Green Peridot Pendant/Necklace: This eye-catching, sterling silver pendant/necklace features a natural green Peridot stone. 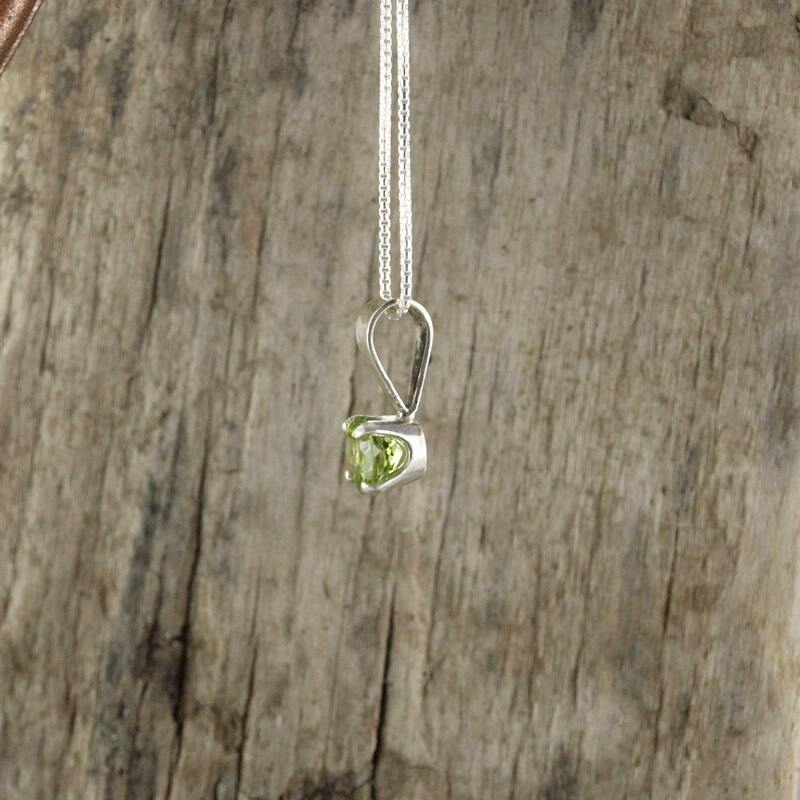 The green Peridot is 6mm in diameter and weighs 1.0 ct.. 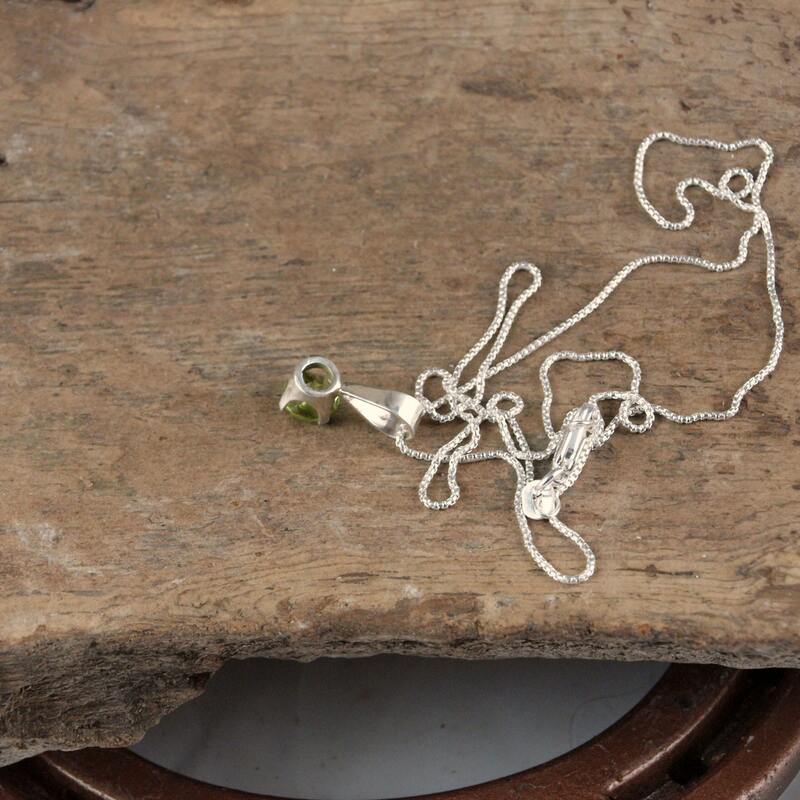 The stone is suspended from the included, complimentary 18" sterling silver rounded box chain. The pendant is 14mm long including the bail. 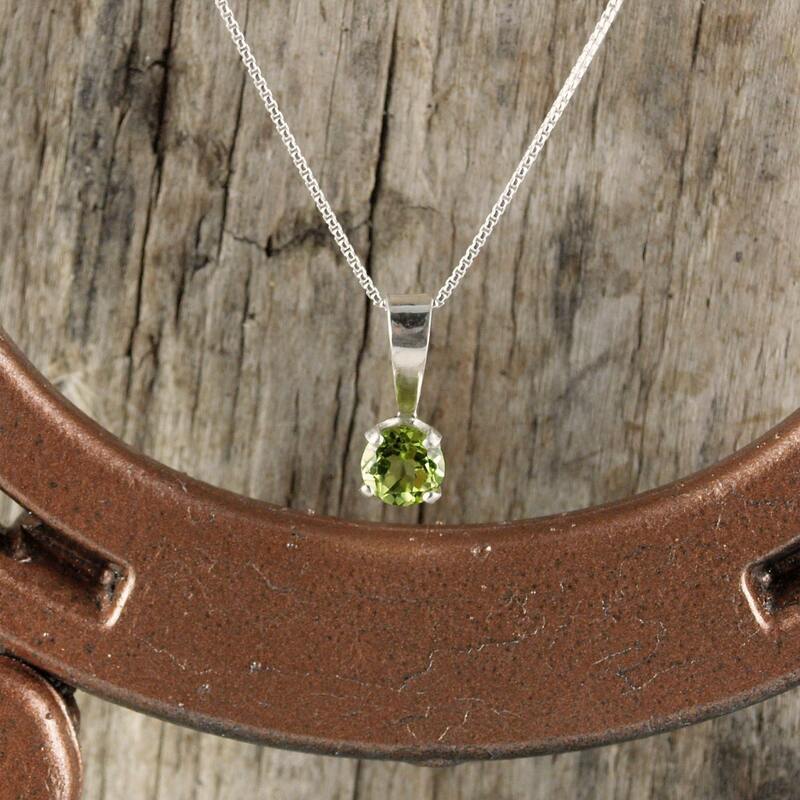 Peridot is August's birthstone and this one is a great example of why it is so popular! 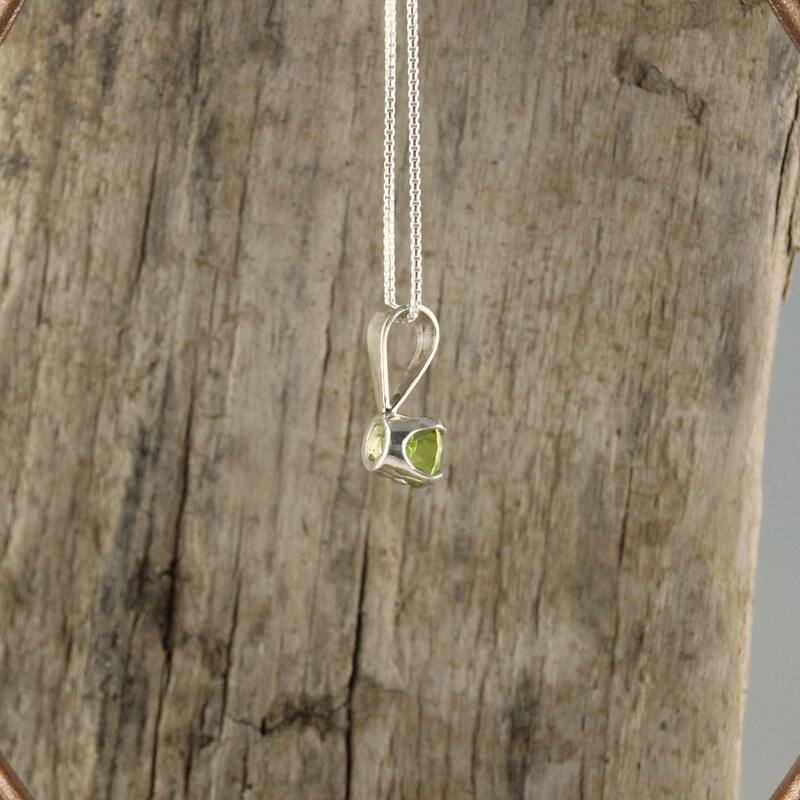 This stunning pendant is very affordably priced! When paired with a matching pair of earrings it will make a great present for someone special! As with all our pendants, we will ship it in a beautiful gift box for no extra charge!